Michael Liu, BA, JD - Spraggs & Co.
Michael obtained his law degree at the University of British Columbia in 2009. 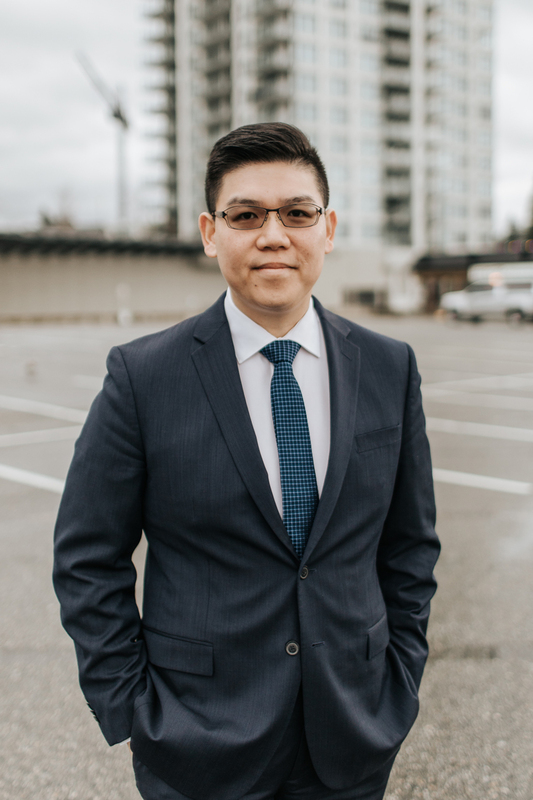 After graduation, Michael completed his articles and was an associate at a boutique personal injury firm in Vancouver before joining Spraggs & Co. in 2018. Prior to attending law school, Michael completed a Bachelor of Arts in Political Science from the University of British Columbia. Michael’s entire legal career has been focused on assisting injured clients with obtaining just and fair compensation. He is fluent in Mandarin and enjoys working with clients from different cultures and backgrounds. Michael moved to Coquitlam in 2016 to start a family He is charmed by the people and region’s natural beauty. He joined Spraggs & Co. so he can be part of the firm’s long tradition of providing excellent legal service to the community. Outside of work, Michael enjoys cycling, cooking, reading and spending time with his family.